One of the most interesting trends in DevOps adoption is the evolution of the IT silo into the cross-skilled squad. This is not just a semantical name change. Most IT teams today are comprised of like-skilled individuals such as a Scrum team of developers. The modern squad takes a slightly different approach, is more static than dynamic and is more product-focused than project based. 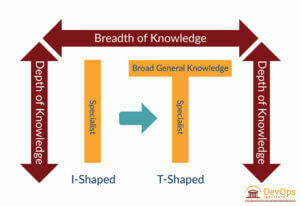 Squads are built around T-shaped professionals –where each member has a specialty competency, but all members have a broad scope of skills across multiple disciplines. 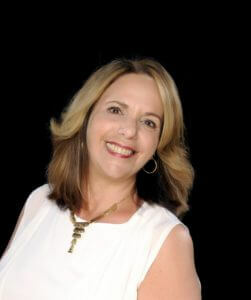 A high performing squad essentially has all of the skills needed for the product or feature to which it is assigned and is not generally constrained by the availability of an individual resource. There is enough breadth of knowledge inside and outside the squad to shift more activities to the left so as to allow them to move more quickly and with more agility. While the squad model originated with Spotify, more and more enterprise organizations are starting to reorganize in favor of cross-functional squads. 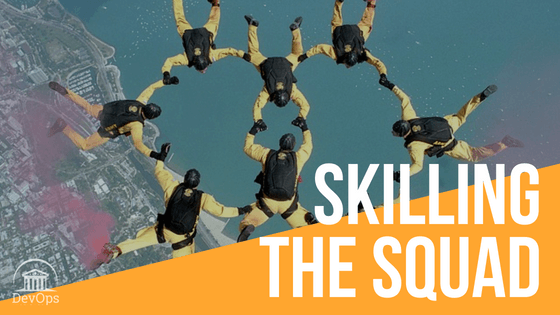 The squad model is not only challenging the way that IT is organized, but it is also challenging the way we skill and certify IT professionals. Historically most training and certification schemes were built as a hierarchy – starting with a basic “foundation” certification and eventually stepping up to a capstone designation such as an Expert or Master. Unfortunately, for most the journey starts and ends at the Foundation level. Statistically, only 10 to 20 percent of learners will actually be funded for or have the personnel need to achieve the capstone certification. The other problem with generic certifications is that they do not clearly define what the recipient can actually do. While some certifications reflect documented roles such as Product Owners, Scrum Masters or Site Reliability Engineers, other designations are so ambiguous that a hiring manager or squad leader may not know exactly what skills they are hiring or how to use that resource. Would a sports organization build their squads around a group of people known as “Football Experts.” “Soccer Practitioners,” “Basketball Masters,” or “Baseball Professionals?” Of course not. Each member of a squad should be recruited based on the depth and breadth of their skillset and the competencies that that squad is lacking. As new skills emerge, we can adapt the model accordingly and help our Registered Education Partners deliver up-to-date content and certifications for a transforming market. 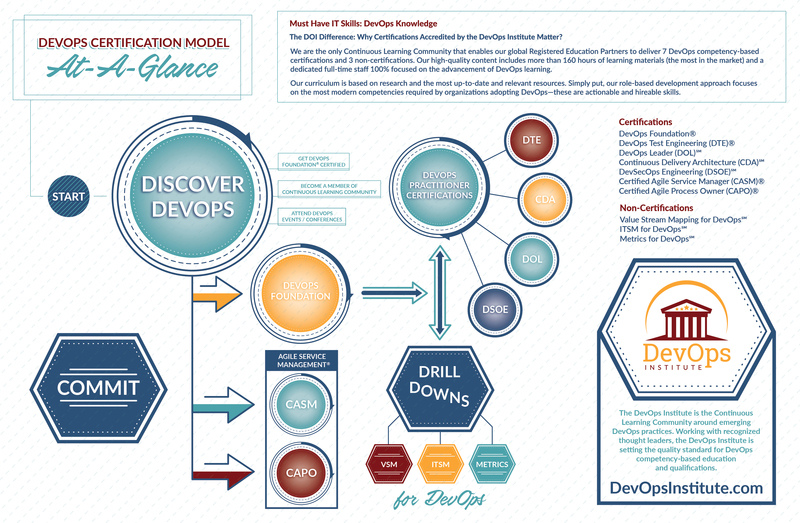 The hub of the DevOps Institute certification model is DevOps Foundation® – the broadest and most comprehensive collection of current DevOps practices, principles and trends – many of which are not documented in a book and were born out of real-life enterprise innovation. All of DevOps Institute’s content and certifications have been authored by some of the best and brightest thought leaders in their specific area. Whether you call it a team or a squad, for now, one thing is clear – people are at the heart of every transformation. And upskilled, cross-skilled, talented people are the only way an organization is going to cross the digital divide. Skill the squad.